Over the past six years, films have been viewed over 60,000 times on YouTube and over 10,000 DVDS have been distributed. 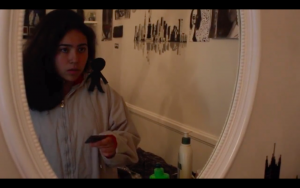 Here are some examples of how student films are being used to make a difference. 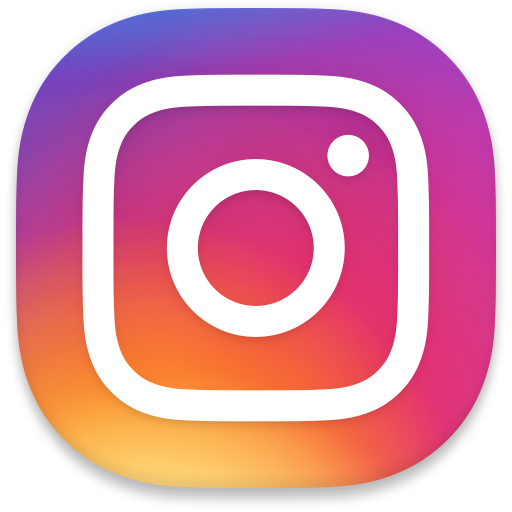 Student films are used by schools, youth programs, county behavioral health agencies and community-based organizations across the state to support awareness activities. California’s Behavioral Health Agencies are integrating student films into their local Prevention and Intervention Efforts. LA County Board Supervisor Michael Antonovich, Fifth District, presented Knight High School student, Roy Lara, and his advisor, Fabian Montagut, with scrolls recognizing his film. The Fresno County Board of Supervisors recognized student Matt Flores from Kingsburg High School and the Board also proclaimed May 2015 as Mental Health Matters Month to increase awareness and understanding of mental illness. Students from Mira Mesa High School who took third place in the Suicide Prevention category for their film “Lost and Found”at the NAMI San Diego film screening. Riverside and San Bernardino Counties co-hosted a local award ceremony to recognize schools and students. The event had a great turnout with about 200 attendees from 11 schools, and awards were presented to films from each county for Best Script, Best Acting and Best Cinematography. Films were also shown in local movie theatres prior to the main attraction in the following counties: Calavares, Humboldt, Los Angeles, Orange, Placer, San Bernardino, Siskiyou, Solano, Sutter Yuba, and Tri-City. In Sonoma County Directing Change DVDs were distributed to help agencies that work with youth. Three films from Los Angeles County were shown in movie theaters across the county for three months in the summer of 2018 before the feature film to spread awareness of mental health advocacy, suicide prevention, and the Directing Change Program as part of our #TalkAboutMore campaign. An estimated 900 screens at 87 theaters showed these Directing Change films created by LA youth, resulting in an estimated 9.4 million impressions by local moviegoers. 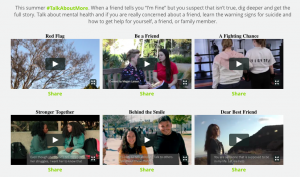 An additional three more films were included in the #TalkAboutMore campaign, and all six Los Angeles County films were used in a digital campaign aiming to get youth to talk more about mental health and suicide prevention. 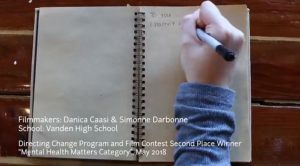 “Mean Little Thoughts,” a film from Los Angeles County that won 1st place in the 2017 regional suicide prevention competition, was used in a training that all staff and teachers in Los Angeles Unified School District completed in summer 2018 on suicide prevention, intervention, and postvention – reaching around 30,000 staff that work with children across the county. The Directing Change Team worked with staff from Solano County Behavioral Health in 2018 to customize two local films with an endslate featuring local resources for screening in local theaters and use in local trainings.